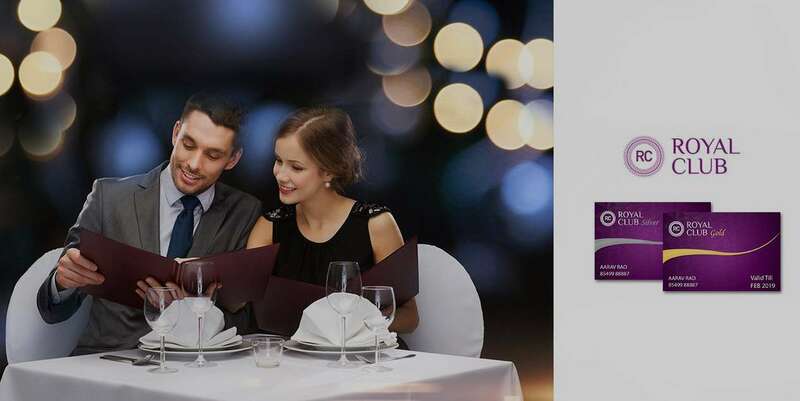 The Loyalty Program welcomes you to the pleasures of fine dining experiences with a wide choice of cuisines from across the world at the Royal Orchid & Regenta Hotels. Become a member and enjoy attractive savings when you dine, stay or entertain using the membership at participating hotels and restaurants. The Frequent Guest Loyalty Program of the Royal Orchid Hotels rewards long time patrons of our exclusive hotels across India, with a range of exciting offers and special privileges. The membership program is three tiered and lets you earn points when you stay in one of our hotels. For more details and benefits, click the button below. The Royal Club membership welcomes you to the pleasures of fine dining experiences with a wide choice of cuisines from across the world at the Royal Orchid & Regenta Hotels. Enjoy attractive savings when you dine or stay with us, using the membership, at participating hotels and restaurants. Earn discounts on dining, complimentary meals, room upgrades and many more exciting offerings. To know more click on the button below. Royal Orchid SMILES is a unique program created for the key professionals responsible for making reservations at Royal Orchid Group of Hotels. As a member, earn points on materialized reservations and get a chance to redeem them for a wide range of gifts. Enjoy exclusive bonus offers and schemes from time to time with this exclusive membership. The Royal Club Gold membership welcomes you to the pleasures of fine dining experiences with a wide choice of cuisines from across the world at the Royal Orchid & Regenta Hotels. The Membership is valid for one (1) year with an annual membership charge of INR 7,500 (all inclusive). For more details download the online brochure with summary of benefits. The Royal Club Silver membership welcomes you to the pleasures of fine dining experiences with a wide choice of cuisines from across the world at the Royal Orchid & Regenta Hotels. The Membership is valid for one (1) year with an annual membership charge of INR 3,500 (all inclusive).For more details download the online brochure with summary of benefits. The Royal Club Program and its Members are governed by the terms and conditions listed below and as part of the Membership package, Gift Certificates and the Membership App. Royal Club, herein after referred to as the 'Program', is valid only at participating Royal Orchid and Regenta Hotels, hereinafter referred to as 'Hotels' as specified.